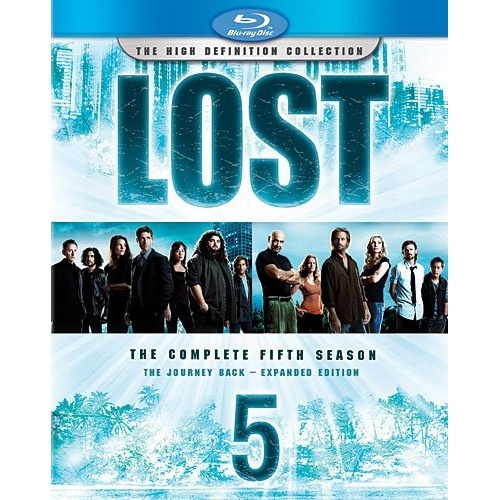 The epic story of Lost twists, turns and time-shifts in its outstanding fifth season. Packed with bonus material, including a revealing interview with the cast and an exclusive behind-the-scenes feature, Lost is better than ever on DVD and Blu-ray. When destiny calls, the Oceanic 6 find their way back to the island. Discover what forced them to return, and find out the fate of all those who were left behind. Explore innovative new bonus features, including Lost University, an immersive collegiate experience powered by BD-Live where you can interactively examine the themes, stories and secrets of Lost. The answers to some of most pressing questions are revealed in this spectacular 5-disc Blu-ray Hi-Def collection. "You'd be crazy not to watch,'" proclaims Matt Roush of TV Guide.